Westdale Properties may be one of the most understated heavyweights in the Canadian real estate market. Their primary focus is multi-family residential buildings, and they’ve been able to rely upon this model to become one of the most prolific companies in the nation. While they built their success on residential buildings, they’ve since added other types of properties to their portfolio. Westdale Properties has been in operation for over 60 years, and today their presence can be seen throughout North America. They own, develop, and manage real estate assets across the country, and they have properties in vital Canadian markets like Toronto, Calgary, and Halifax. They’ve been able to find continued success because of their dedication to ensuring positive experiences for the thousands of people who live, work, and visit their holdings each day. 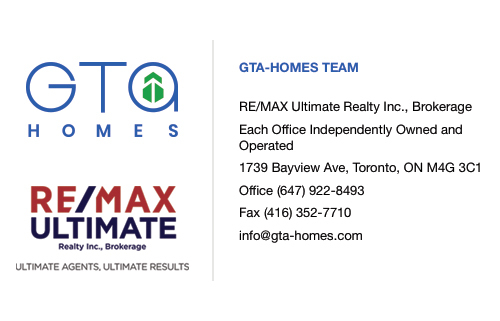 One of their best qualities is their ability to partner with some of the biggest industry leaders in Canadian real estate. 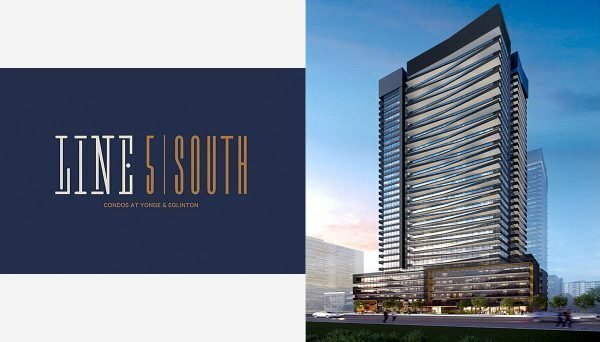 One notable example is their enduring partnership with Great Gulf, which has helped them become involved with some of the most anticipated condo projects in Toronto. Great Gulf is an award winning home builder who’s mark can be seen throughout the downtown core, as well as the rest of Canada. It’s been able to make quite an impact in the commercial side of real estate. They have properties and holdings throughout North America, with notable examples being in Ottawa, Toronto, Regina, North Bay, Mississauga and Halifax. Despite this impressive list of assets, their commercial holdings go far beyond this. They are a major stakeholder in the Woodcliffe Corporation, who has an impressive list of commercial properties in and of themselves. Woodcliffe began operation in 1996 with the goal of acquiring and restoring significant heritage buildings. In order to have these buildings play a prominent role in modern times, they have been adapted into thriving commercial centres. A few impressive examples include North Toronto Station, King James Place, and the Shops of Summerhill. Woodcliffe’s efforts have resulted in them becoming an award winning group, having been given the City of Toronto Urban Design Award for Excellence in 2015, Award of Merit from Heritage Toronto in 2011, the BOMA Building of the Year Award in 2008 and so much more. In addition to their work restoring heritage buildings throughout Canada, they also operate a huge real estate investment and management company that focuses on properties in the United States. Their American base of operations is in Dallas, Texas, and they have assets in Washington State, Colorado, Nebraska, Texas, Louisiana, Mississippi, Georgia, Florida, South Carolina, North Carolina, Tennessee, Kentucky, and Virginia. 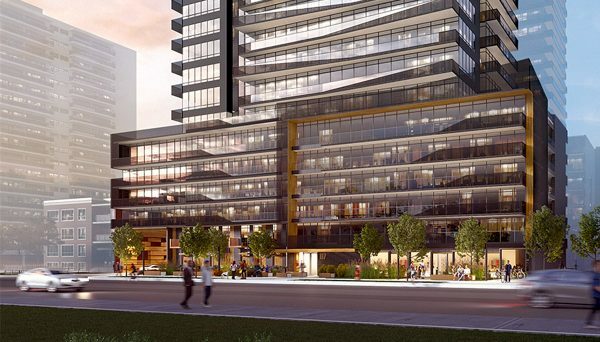 Looking to the future, this developer is angling itself to become a one of the most prominent condo developers in the GTA and beyond. 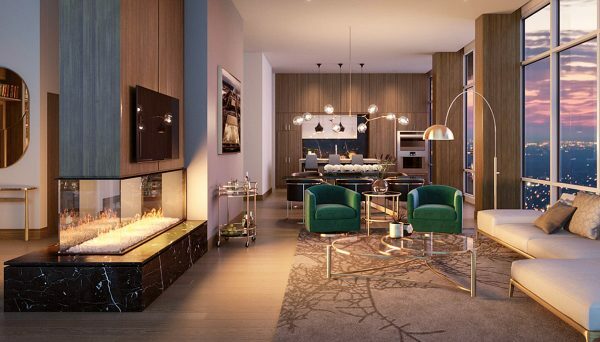 They were involved in the development of the monumental One Bloor project, and now they’re continuing to make their mark by being involved with the development of Nobu Residences Toronto. We have no reason to expect them to back down anytime soon. Having been in business for well over 60 years, this real estate developer has made an impression on the Canadian real estate scene. They began their foray in real estate by focusing on multi-family residential buildings, and when they started that meant rental apartment buildings, but they’ve since shifted their focus to building more condos. 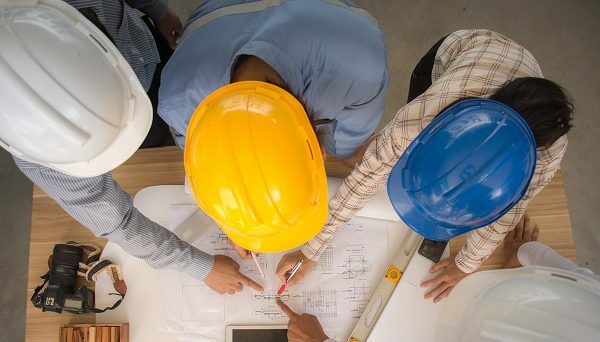 They’ve also entered the commercial, industrial, and office sectors of the industry, showing particular aptitude in owning and managing commercial buildings. They are certain to continue influencing our city’s skyline, and we can’t wait to see what they have in store. Connect with us today to be the first to hear any new info. This condo tower has become one of the most identifiable landmarks in Downtown Toronto’s vital intersection of Yonge and Bloor. This high-rise stands at 75 storeys, and it has 789 units. The building’s exterior is characterized by its undulating balconies that give it a rippling effect. Being located directly on the corner of Yonge and Bloor, it is immediately accessible to Bloor-Yonge Station. Its amenities include a steam room, bar, pool, spa, yoga studio, exercise room and concierge. Its kitchens are appointed with stainless steel appliances and custom cabinetry. Its address is 1 Bloor Street East, and it was completed in 2017.